eStreamDesk uses a minimalistic approach to web-based helpdesk management. You will not find useless features and cluttered interface. The platform has the features you actually use. We used this system for a while, but it couldn't completely do everything we wanted. This system did improve our IT department's ability to help end users and decreased the time spent keeping track of open issues within our company. We would have liked being able to keep track of a longer history of tickets solved. It also seems like this product is no longer updated or maintained. eStreamDesk is a flexible helpdesk platform that enables support staff to easily manage many requests from multiple services. The portal empowers customers with self-help functionality that drives down costs and enhances the customer experience. Below are some frequently asked questions for eStreamDesk Helpdesk. Q. 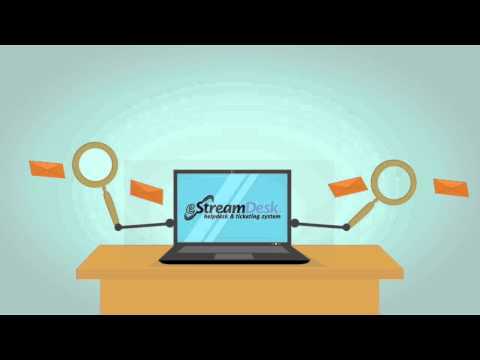 What type of pricing plans does eStreamDesk Helpdesk offer? Q. Who are the typical users of eStreamDesk Helpdesk? Q. What languages does eStreamDesk Helpdesk support? Q. Does eStreamDesk Helpdesk support mobile devices? Q. Does eStreamDesk Helpdesk offer an API? Yes, eStreamDesk Helpdesk has an API available for use. Q. What other apps does eStreamDesk Helpdesk integrate with? Q. What level of support does eStreamDesk Helpdesk offer? Q. Which apps is eStreamDesk Helpdesk compared to most often?